– St. Jerome, 300s A.D.
As a historical fact, the empty tomb is difficult to dispute. Consider how quickly the movement to worship Jesus began in Jerusalem, particularly after Pentecost when thousands joined the Jerusalem disciples. It is clear from both biblical accounts and other history that the Jewish authorities opposed this new “cult” that was following Jesus. Given that, why didn’t the authorities, utilizing their temple guard, go to the tomb of Jesus, roll the stone away, and produce the corpse of Jesus? 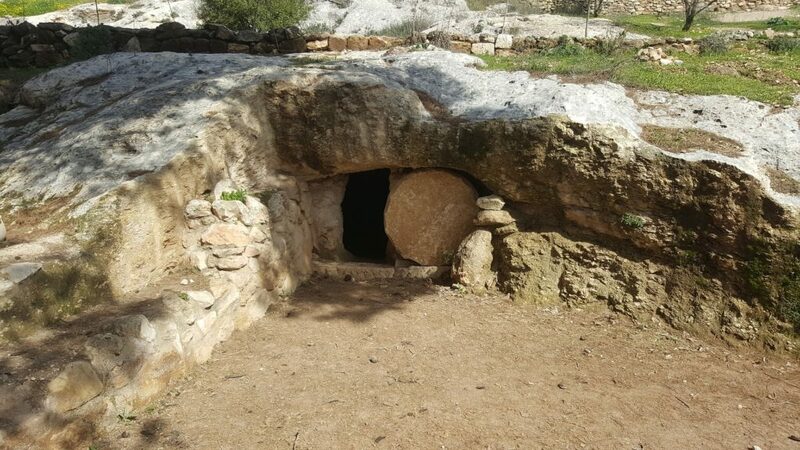 Yes, His body might have been decomposed after a few weeks, but Jerusalem is in an arid area, and it would likely be dry enough inside the burial cave that the body of Jesus would have been quite recognizable. Except, there is literally not a single ancient account of such a thing happening, not even from the enemies and critics of nascent Christianity. Perhaps you are familiar with the phrase, “a skeleton in the closet.” This metaphor refers to a situation where there is something hidden in one’s life that could be the undoing of that person. The Tell-Tale Heart, by Edgar Allen Poe, is perhaps the most famous fictional representation of the skeleton in the closet trope. In that Poe classic, one man murders another, and hides his body under the floorboards of his house. Police officers arrive the next day to investigate the scream of the murdered man as he died, but they see no evidence of foul play, and have a very casual discussion with the narrator of the story, who is the murderer. As the officers converse with the unnamed narrator, his guilt manifests so that he hears the heartbeat of the man he murdered, and that heartbeat gets louder and louder. Finally, just before the officers proceed to exit without suspicion, the guilty man breaks down, confesses his deed, and tells the officers where the body is hidden. Thus, the metaphorical skeleton in the closet is revealed to be an actual corpse hidden in the floor beams. If skeptics of the resurrection of Jesus are correct, then the disciples in the first two decades after the death of Jesus also had a sort of skeleton in their closet. If the tomb of Jesus wasn’t TRULY and FACTUALLY empty, then the Jewish officials could have easily opened the tomb and demonstrated to all that Christianity had a great hidden secret: namely, that it’s founder did, in fact, die, and stayed dead as well. And yet, there is absolutely no historical record that demonstrates that anything like this happened. Indeed, in Matthew 28:15, it is recorded that, at the time of the publication of Matthew (2-4 decades after the resurrection of Jesus), the Jews were saying that the disciples stole Jesus away. There would be no reason whatsoever to make such a claim if the tomb of Jesus had been anything but empty. Wouldn’t it have been far easier, if it were possible, to have produced the body of Jesus and just been done with it? That probably wouldn’t have turned away every ardent Christ-follower, but it sure would have done so for most of them. However, the presentation of Jesus’ body to His followers never happened, because there was certainly no body to produce. Even if a skeptic went along with the explanation of the Jewish Sanhedrin, that Jesus’ body was stolen by His disciples, that skeptic still must grapple with the reality that the disciples almost all died horrible deaths, refusing to recant their allegiance to Christ. That would be an absurd thing to do if they were the ones that propagated a false story regarding the resurrection of Jesus. The stolen body theory defies logic, and has no ancient historical evidence. This hoax theory, (That the disciples perpetrated a scam by stealing the body of Jesus and acting like He rose from the dead) not only does not account for the extreme suffering/martyrdom endured by those who would have enacted the scheme, but also doesn’t propose a good reason FOR performing the hoax in the first place. What could their motive possibly have been? I have not read a good skeptical theory that proposed anything worthwhile that the disciples of Jesus could have gained by perpetuating a myth that He rose from the dead. While some unscrupulous pastors and teachers have, in modern times, grown wealthy by exploiting their followers, Jesus clearly didn’t engage in that behavior; He was largely homeless, and it seems that none of His followers ever became very wealthy, comfortable, or materially blessed due to their proximity to Jesus! Gary R. Habermas and Mike Licona, The Case for the Resurrection of Jesus (Grand Rapids, MI: Kregel Publications, ©2004), 30. Thomas Aquinas, Catena Aurea: Commentary on the Four Gospels, Collected out of the Works of the Fathers: St. Matthew, ed. John Henry Newman, vol. 1 (Oxford: John Henry Parker, 1841), 979.